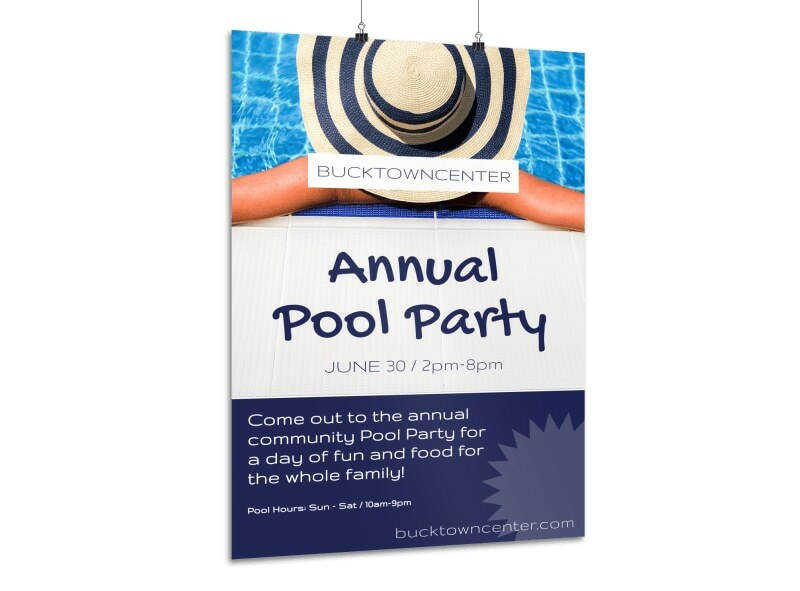 Customize our Annual Pool Party Poster Template and more! 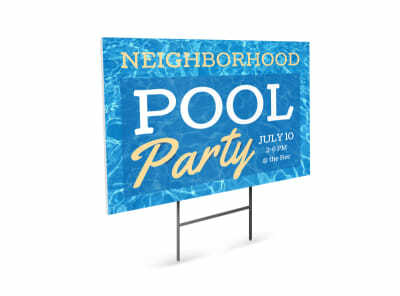 Get out the floating flamingo and get ready for a crowd when you promote your annual pool party with this attention-demanding poster. Discover how fast your poster comes together with the help of our online editor. 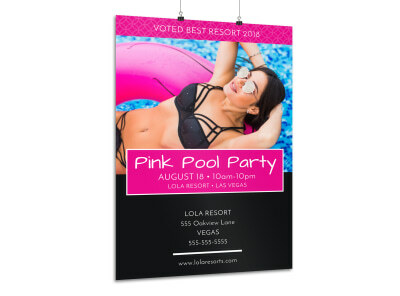 Add images, graphics and text, and then print your poster from anywhere.